Replies to this message will not be read or responded to. On Wednesday, March 14 our walkout demonstration will be for grades 5-8 students and teachers. Every K-8 teacher and staff member is welcome to participate, of course, if they are free at this time. There will be a silent demonstration from 3:28-3:45 (1 silent minute for each person that lost his/her life in the Parkland shooting) in front of the school on Kemper Place. We will ring an old fashioned hand bell to signal the beginning of the silent demonstration. The 3:45 dismissal bell will ring at 3:45 to signal the end of the silent demonstration. Everyone is asked to remain silent from 3:28-3:45. Note that a 3:35 school bell will ring but this will NOT signal the end of the demonstration. Please disregard this 3:35 school bell during the silent demonstration. Kindergarten students will still be dismissed at 3:40. At 3:45 when the dismissal bell rings, the teachers will dismiss the students home from the silent demonstration. 3:45 is our regular dismissal time. This 17-minute silent solidarity stance will not interfere with our PARCC testing because we will be done before 3:25. Individuals may bring appropriate posters, if they desire. Our official stance is that this walkout is to demonstrate a memory of those lost lives in the Parkland shooting. If students or others wish to demonstrate regarding their views on gun control, etc. that is their right. School personnel is not making judgement calls; we do ask for peace, respect, and decorum. If there are students that do NOT wish to join the demonstration, the teachers will direct them to the main office with their items to go home and we will point them in the right direction to a location where they may be free to stay until 3:45. They will be dismissed from this location at the 3:45 bell. It is advised that teachers and parents speak to the children prior to the March 14th walkout at 3:25 so they put the demonstration into perspective and make connections. Employees are permitted to engage in Political Activity on a voluntary basis during non- work hours, vacation, or personal time. Employees are not permitted to engage in Political Activity during any other Board compensated time. During any time-off that is compensated by the Board (such as vacation or personal time). No Official or Employee shall require any Employee to participate in Political Activity in consideration for that Employee being awarded additional compensation or employee benefit such as a salary adjustment, bonus, compensatory time-off, or continued employment. No Official or Employee shall award, and no Employee shall accept, any additional compensation or employee benefit such as a salary adjustment, bonus, compensatory time-off, or continued employment, in consideration for the Employee’s participation in Political Activity. No Official or Employee shall use his or her official Board position to engage in Political Activity or endorse a Candidate for Elective Office. No Official or Employee is permitted to use Board resources to perform any Political Activity. 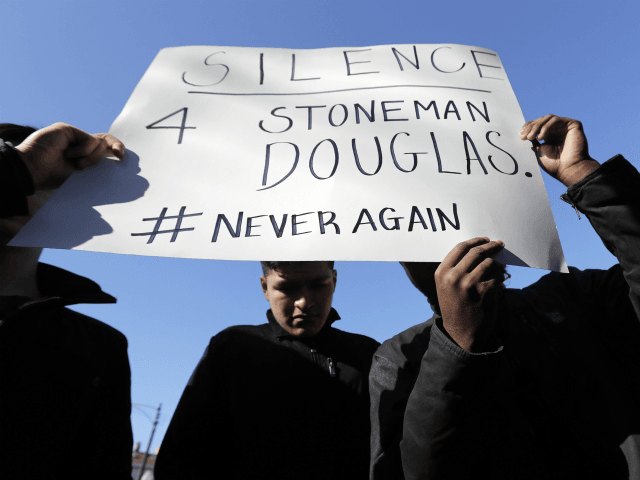 The Chicago GOP sent a letter to CPS CEO Janice Jackson, requesting that the student walkouts and demonstrations be cancelled, and also filed a complaint with the CPS Office of Inspector General (OIG), Nicholas Schuler. Breitbart News did not receive immediate responses from CPS’s communications office nor from the CPS OIG to a request for comment. We are pleased to announce that Burr will be taking part in this movement … Our 8th graders have been doing a lot of learning, researching, thinking and discussing around the topic of guns and gun violence in the past weeks. They have taken that learning and created appropriate activities for the 6th and 7th graders to engage with prior to Wednesday. They have also created a vision and activities for the 14th and are excited for all of the middle school students to take part in this day of action. This is a student movement at its roots, and we want to empower the student body to work together and make a difference. They have created a schedule for the remainder of the day so that the conversation and action doesn’t end after 10:17 AM. From 10:17-11:00 students will carry signs and hold banners, along Ashland Avenue, with messages encouraging the public to take action in ending gun violence, push their congressman to support the creation of stricter gun laws, and to bring a general awareness to this divisive issue. From 11:15-1 PM we will have a panel of speakers who will talk to the students about their experiences, beliefs, thoughts and possible solutions to gun violence and answer the students questions. These panelists include a CAPS Sergeant from the 14th district, a survivor of gun violence and Youth Program Director with Chicago Survivors, retired FBI agent and head of SWAT for all of the Midwest, and a strong supporter of the second amendment. Two students will be the moderators and all students will have a chance to ask questions at the end of the session. The Women’s March – an anti-Trump organization with ties to radical anti-Semites such as Louis Farrakhan – sparked the student walkouts that saw thousands of students across the nation leave their schools in the wake of the horrific shooting at a Parkland, Florida, high school that left 17 people dead.